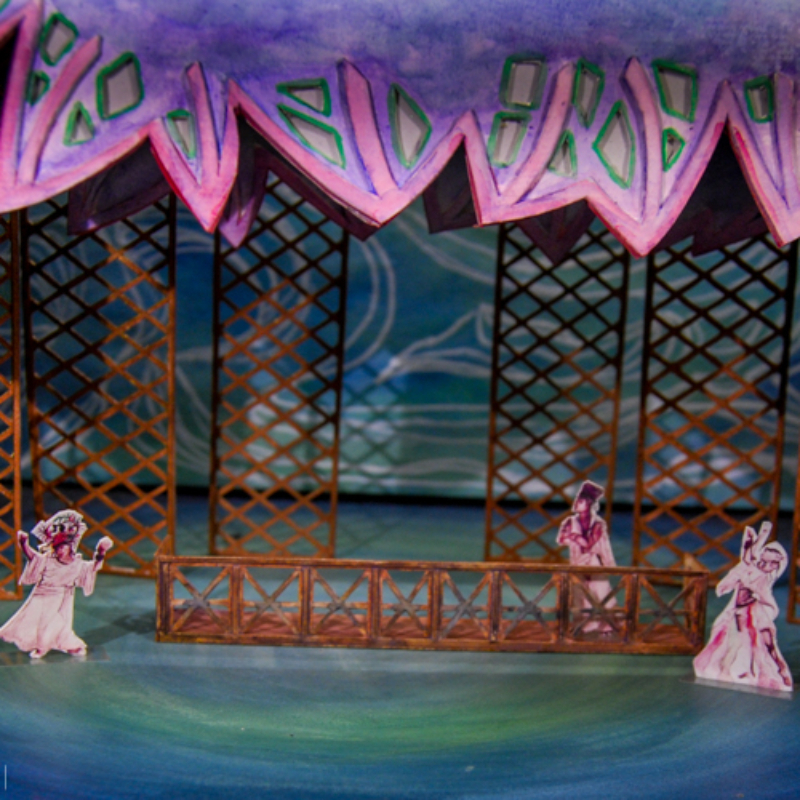 The ebb and flow of love, despair, and serenity are provoked with this free-flowing watercolor design of Once On This Island. 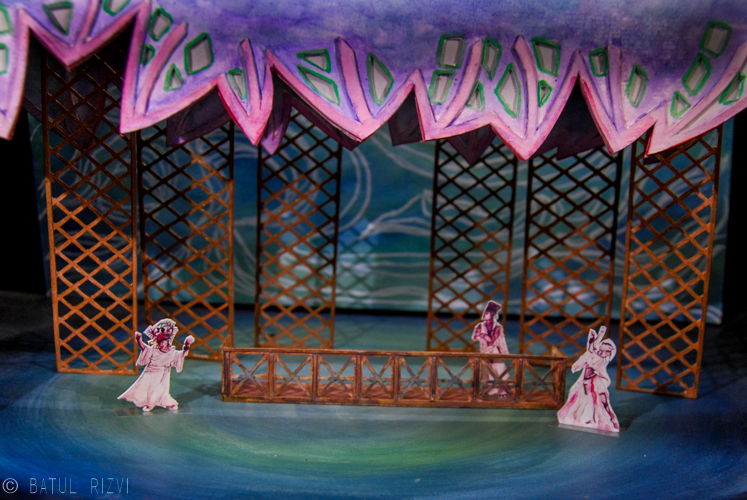 The show curtain sets the tone of steel drums flowing through a story of rebirth, tragedy, love, and growth. 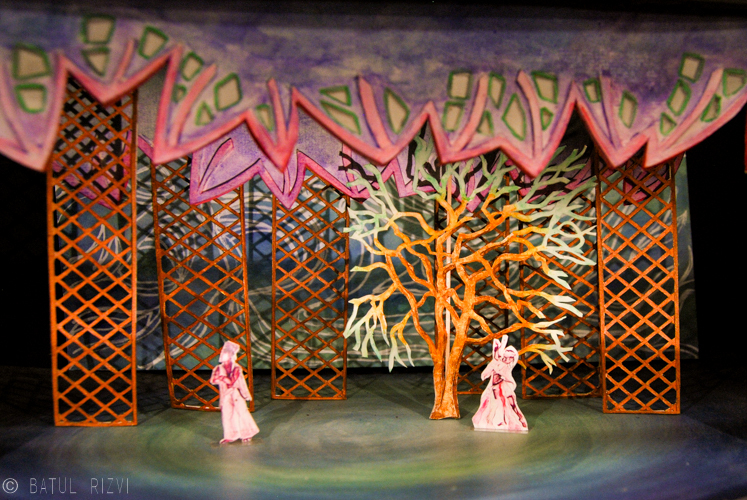 The borders in the show are abstracted island foliage, with the show border having light boxes to change the tone of each scene. Lattice sliders help depict interiors and exteriors for the scenes, while also giving the composition of the performance some energy. 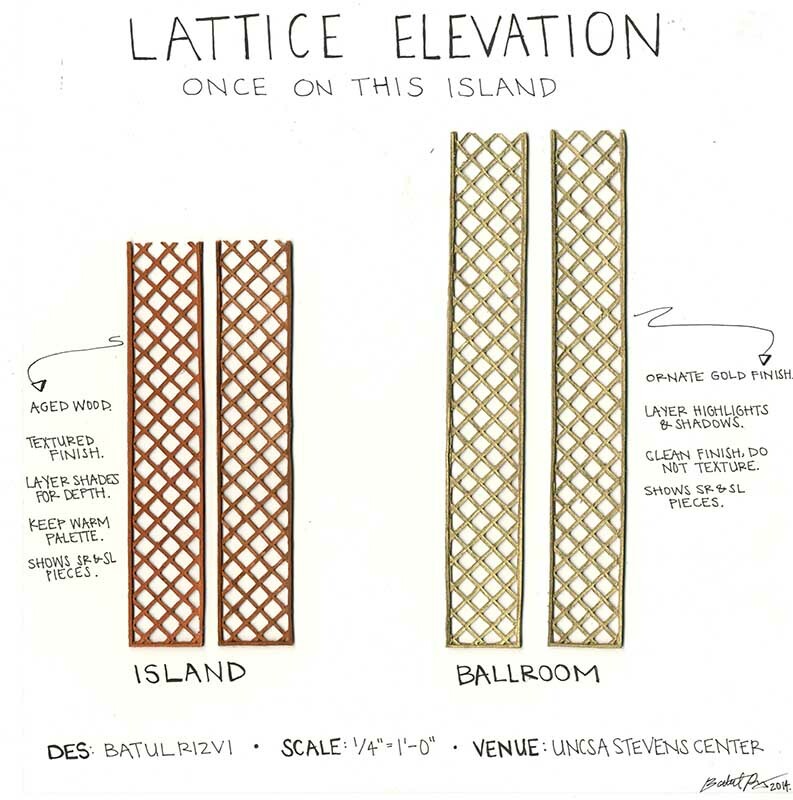 During the ballroom scene at the Grand Beauxhomme’s, the lattice sliders flip to reveal a gold facade. 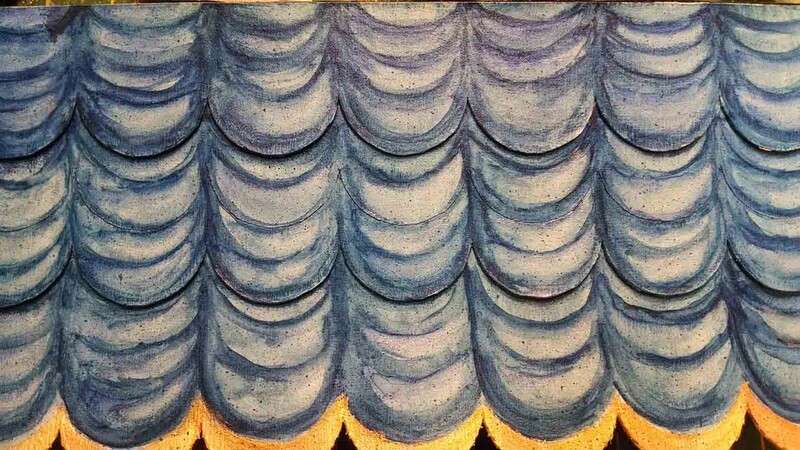 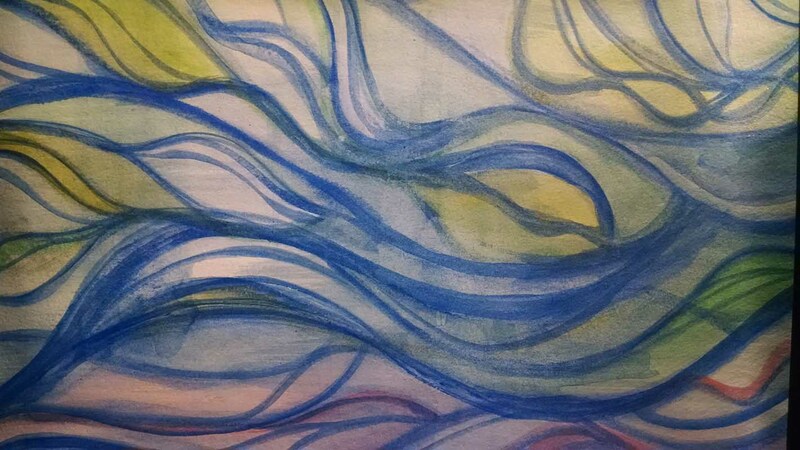 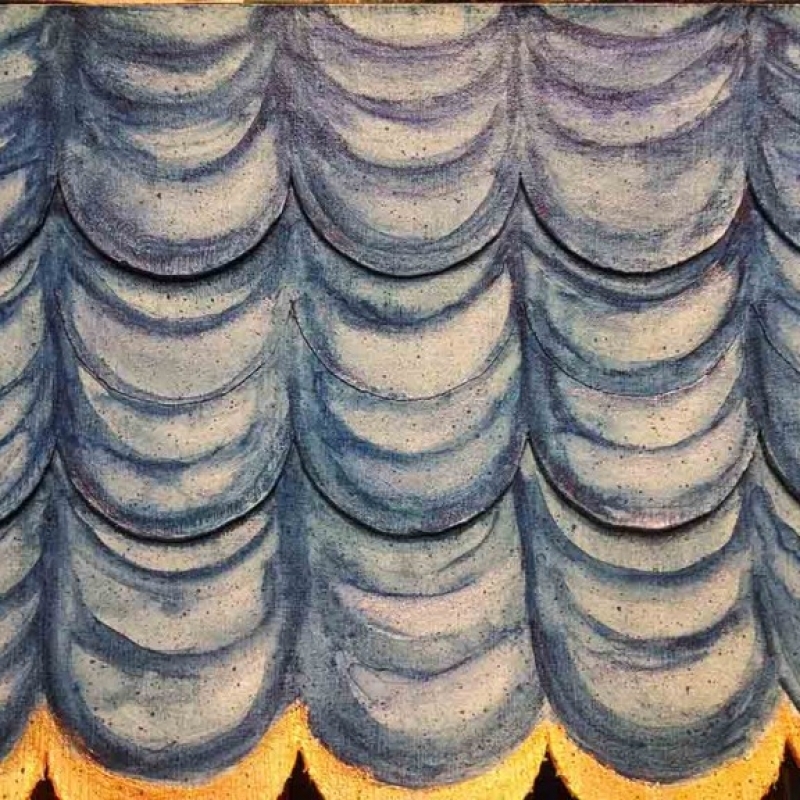 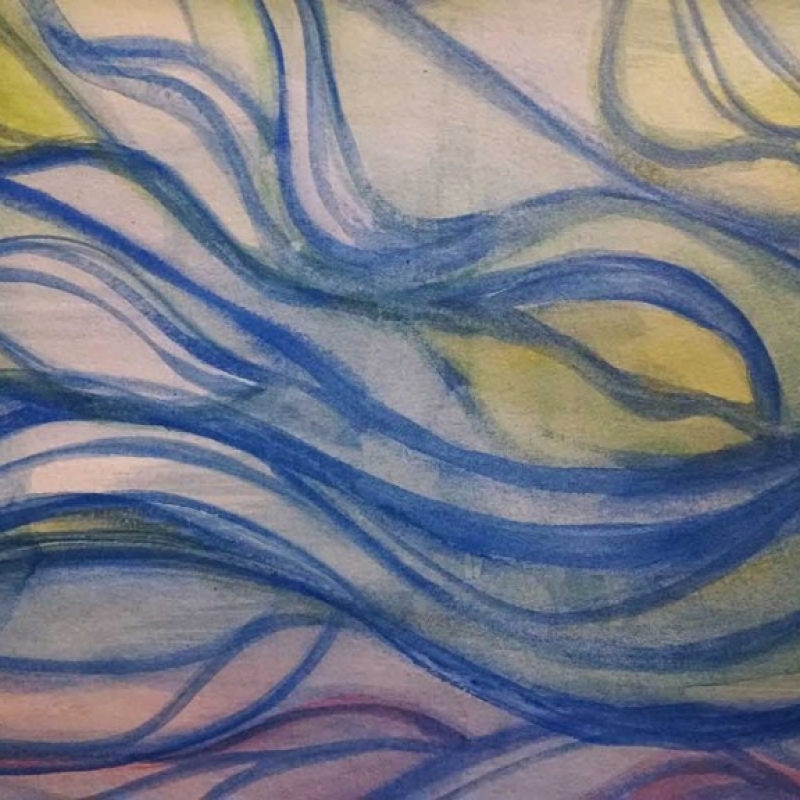 A venetian contour curtain emphasizes the ebb and flow of Ti Moune and Daniel as it dances with them. 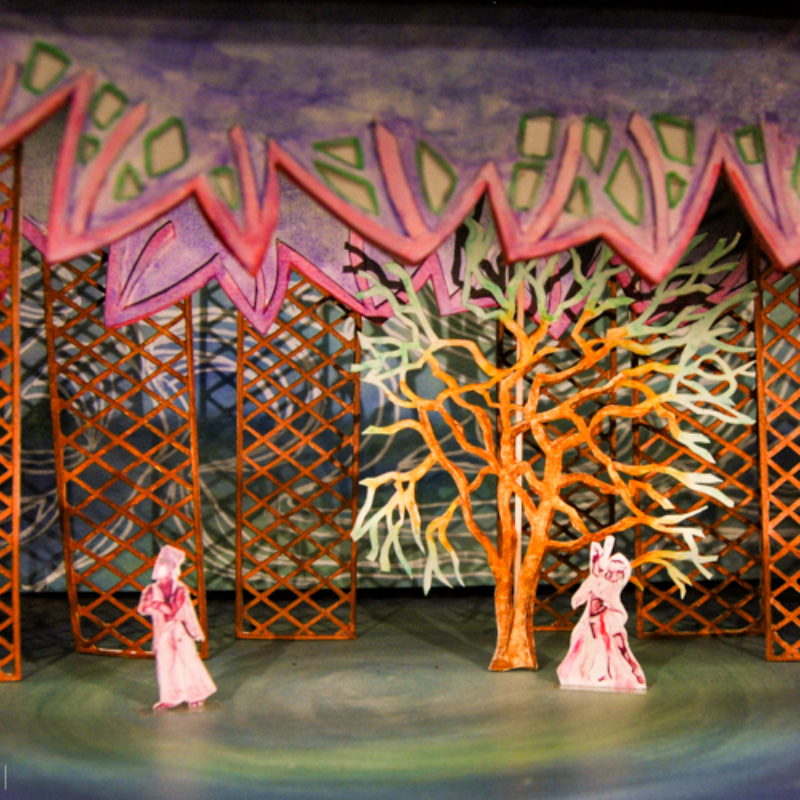 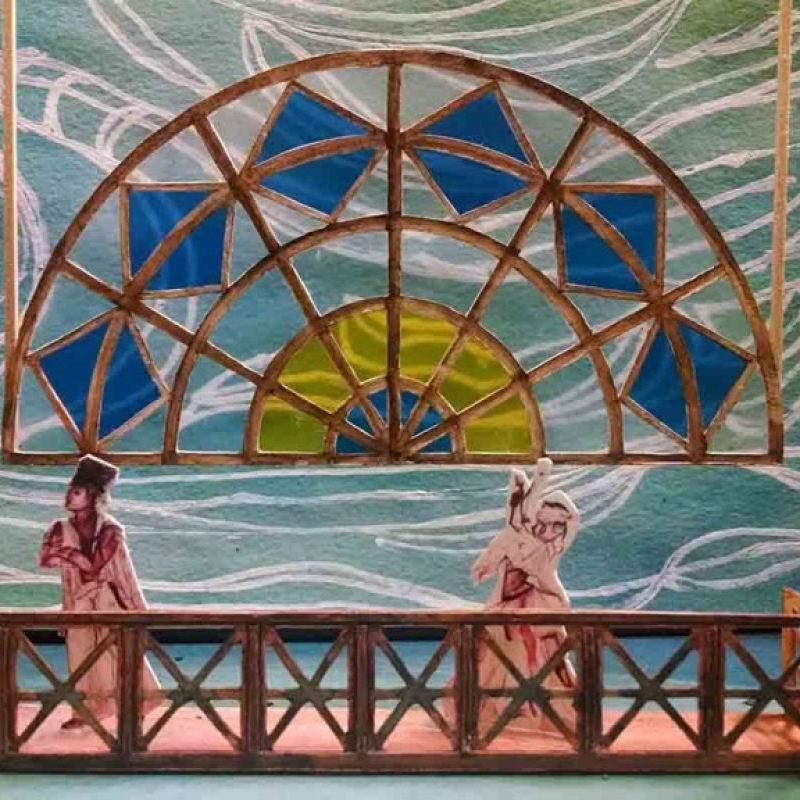 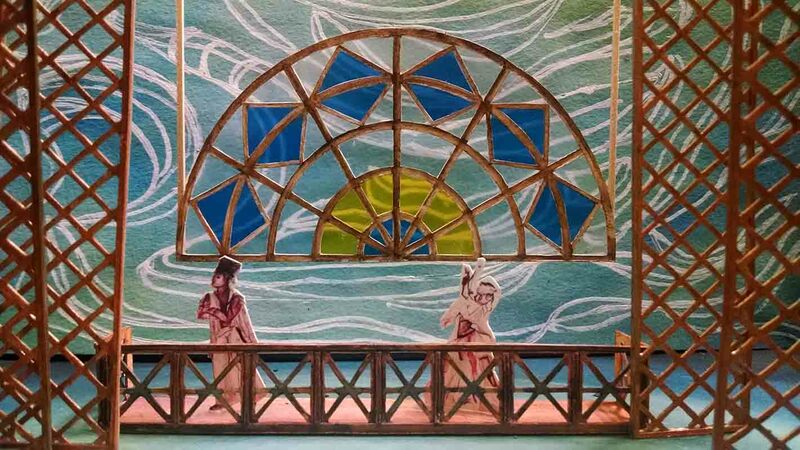 The deck treatment marries the color tones of the set, while also providing the contour of the play, as the circle symbolizes the rebirth of Ti Moune.